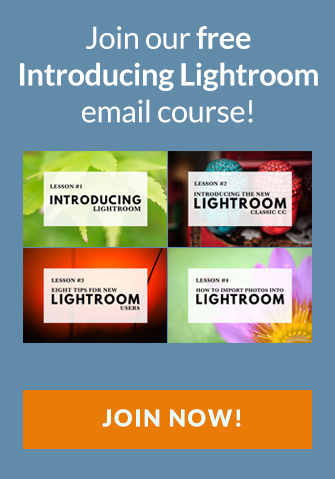 We’ve already looked at how to use Grid View and Loupe View in other tutorials, and this week I’d like to show you how to expand your options using Lightroom with two monitors. Two large monitors of near equal size. An alternative to this is using a computer that’s built in to the monitor (like an iMac) and another monitor next to it. A laptop connected to a large monitor. This is ideal if you need to use a laptop for travel but would like a large monitor at home or in the office. Using a tablet as a second monitor. If you have an iPad you can use the Duet app for this (Mac and PC). If you have an Android tablet you can try Splashtop Wired XDisplay (also Mac and PC, and also works with iPads). 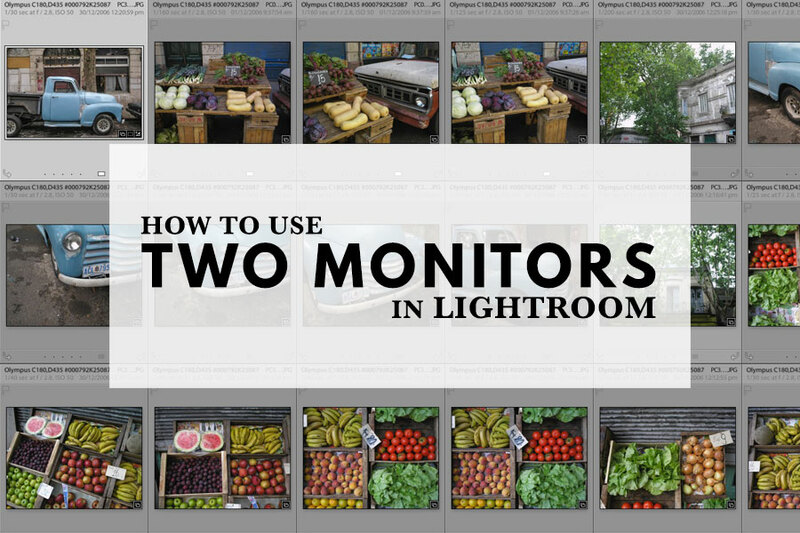 Using two monitors in Lightroom helps you work faster and sort through your photos more quickly. 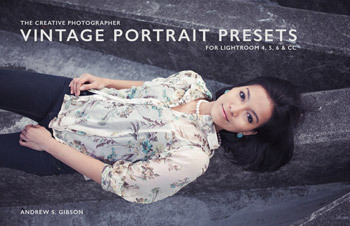 This is naturally of interest to any photographer who shoots in high volumes (ie weddings, portraits or fashion). 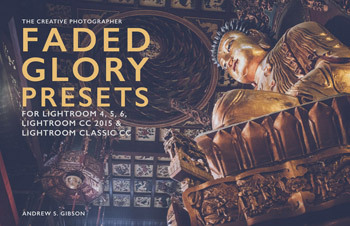 These are the four most useful ways you can configure a two monitor setup for Lightroom. 1. Set Grid View on the first monitor and Loupe View on the second. You can look at thumbnails on one monitor and a single photo on the other. 2. Use Grid View on the first monitor and Survey or Compare View on the second monitor. This helps you compare images more efficiently for culling purposes. 3. Reverse the first setup and have Grid View on your second monitor and Loupe View on the first. You can use the Filter Bar on your second monitor to active a search (use the Shift+\ keyboard shortcut to display/hide the Filter Bar). This setup works in every module. 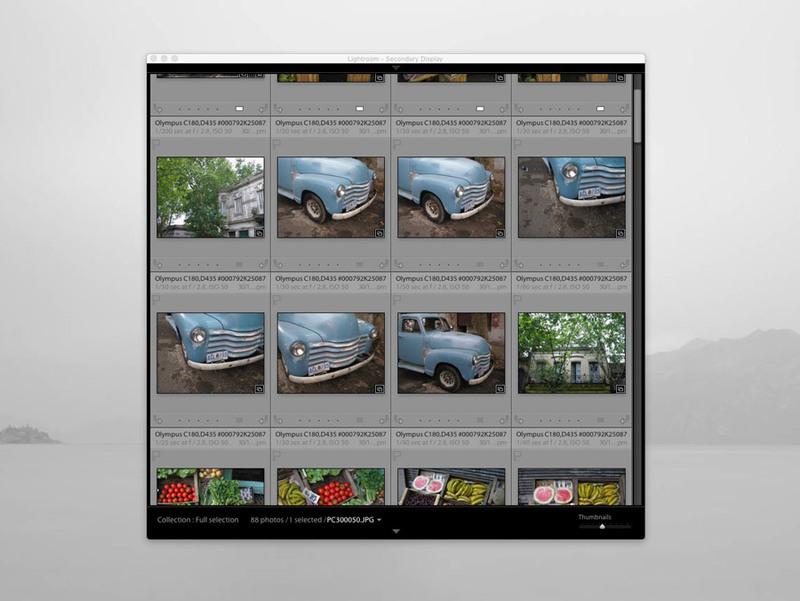 For example, you can work in the Develop module on the first monitor, and use Grid View on the other to help you navigate between photos without referring to the Filmstrip or going back to Grid View. 4. 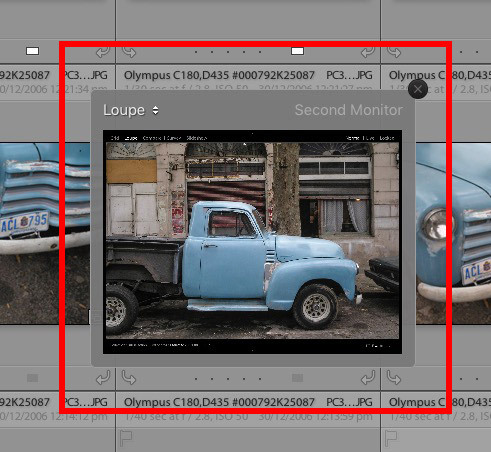 Use the Develop module on your first monitor and enable Loupe View on the second. With this setup you can zoom in on the second monitor to check for fine detail such as chromatic aberration removal. Setting up a two monitor display is easy. First, connect your second monitor. 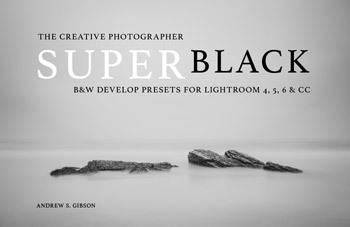 Second, you need to let Lightroom know it’s there and that you want to use it. There are two ways of doing this. 1. Go to Window > Secondary Display > Show. 2. Use the monitor icons in the Filmstrip (this is probably easiest). Click the monitor icon labelled “2” (marked below) to activate the secondary display (the one on your second monitor). Tip: A gray icon indicates the display isn’t active, a white icon indicates it’s active. 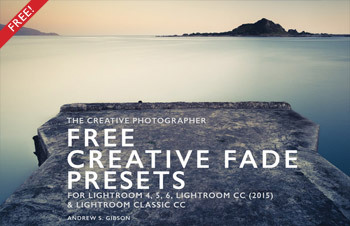 If you don’t have a second monitor connected to your computer then Lightroom opens a floating window showing the secondary display instead (marked below). You can use this to check out how the secondary display works. 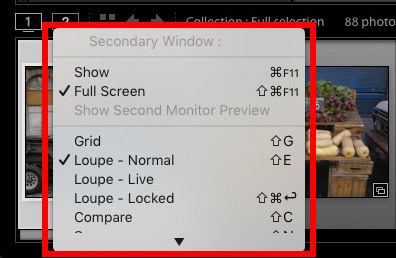 The secondary display defaults to Loupe View, but you can change it to one of four other options – Grid View, Compare View, Survey View or Slideshow. Click and hold the monitor icon marked “2” to see the options. Normal. 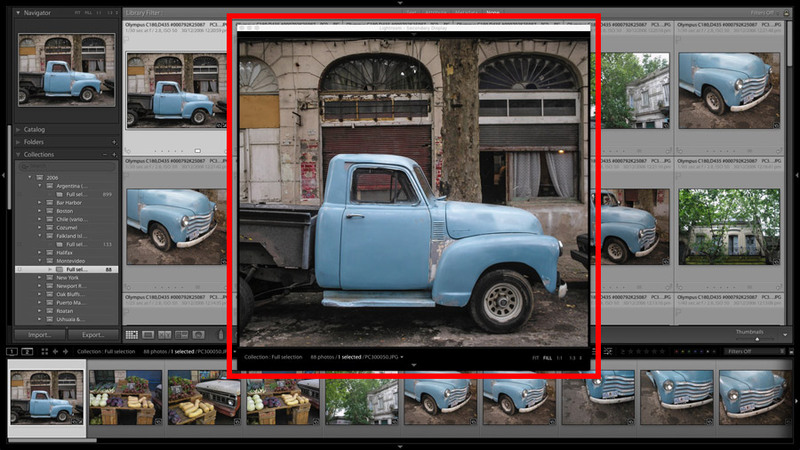 Click on a thumbnail in Grid View (monitor 1) and you’ll see a large version displayed in Loupe View (monitor 2). Live. 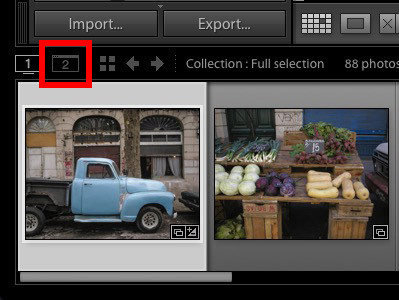 The photo displayed in Loupe View changes as you move the cursor over the thumbnails in Grid View. Locked. 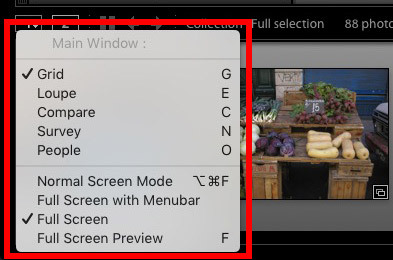 The last photo viewed in Loupe View stays on the screen until you select one of the other modes. Loupe View on the second monitor comes with a mini filmstrip where you can do some basic filtering or zoom into the photo by clicking a ratio setting. 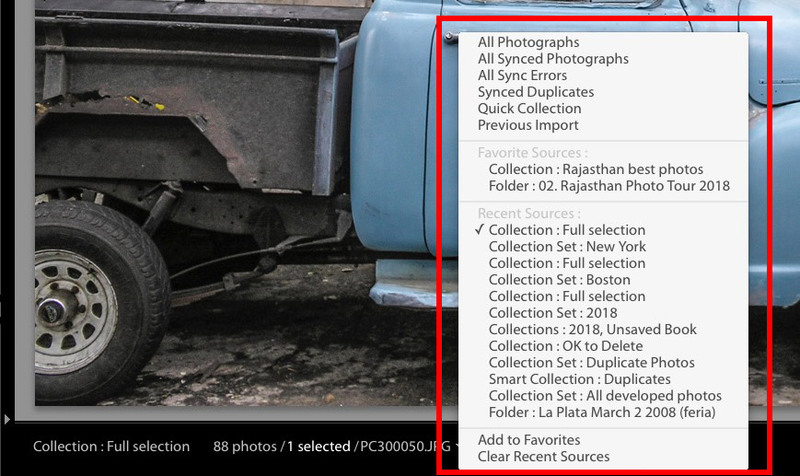 The filtering options are good for going to recently accessed or favorite Collections or Folders. Similarly, you can use the slider in Grid View on the second monitor to set the thumbnail size. 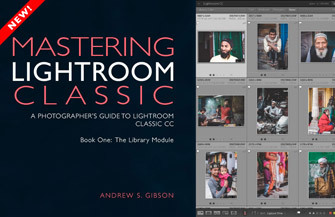 If you select this option Lightroom displays a thumbnail preview of what’s being shown on the second monitor (marked below). This is handy for slideshows or presentations where you can’t actually see the second monitor. If you click the Full Screen option, which is enabled by default, the window on your second monitor is taken out of full screen mode. This gives you a resizeable window that you can move around the screen. This is most likely to be useful on a large secondary display. If you click and hold the icon labelled “1” you’ll see a similar list of options for your main monitor. 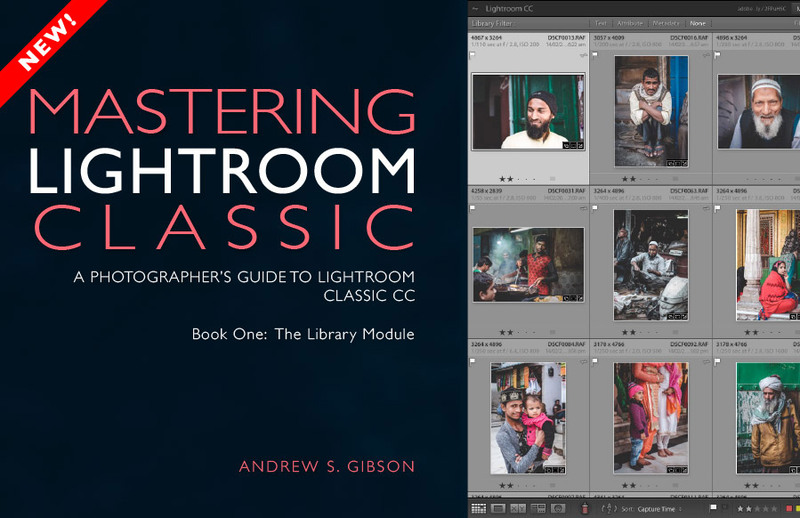 If you don’t want to see the top or bottom panels in the secondary display you can hide them by clicking the gray arrows, the same way you hide panels in Lightroom’s main window. Click the gray arrows again to display them again. You can even swap the displays around if you want to. Make sure you’re in the Normal Screen Mode (that’s the one where you can see the Menu bar at the top, press Shift+F until you get there) which gives you a draggable window. Drag and drop the window over to the second display, and the two automatically change positions. There are a number of useful keyboard shortcuts that make activating the secondary display easier. I had planned on retiring my 8 year old iMac and purchasing a new one. You refer to a ‘second monitor’. Would my old 21″ iMac function as a 2nd monitor? BTW, thanks for your course note on myportfolio. I completed the framework and now need to update the content place holders.